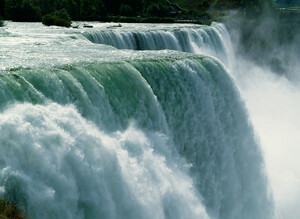 Hydropower is derived from turbines turned by flowing water. Water flow can be from rivers or from man-made installations, such as dams. Hydropower is a mature and cost-competitive renewable energy source. Hydropower contributes to decarbonising the energy mix. It often provides other benefits such as water supply, flood and drought control. Water reservoirs can contribute to energy storage. Surplus electricity generation can be used to pump water into a reservoir, which can be released to generate electricity when needed. The importance of hydropower in the global renewable energy mix has highlighted a need to harmonize the way in which the resources are reported. Investors, regulators, governments and consumers need a standard comparison framework for hydropower resources to assess energy sustainability scenarios at project, company, country, regional or global levels. The application of UNFC to hydropower resources could not only improve the view of energy sustainability but also greatly facilitate the economic evaluation of projects and the raising of finance. A hydropower Sub-group under the Renewable Energy Classification Working Group is under initiation. The Sub-group will be working to develop hydropower specifications and guidelines.